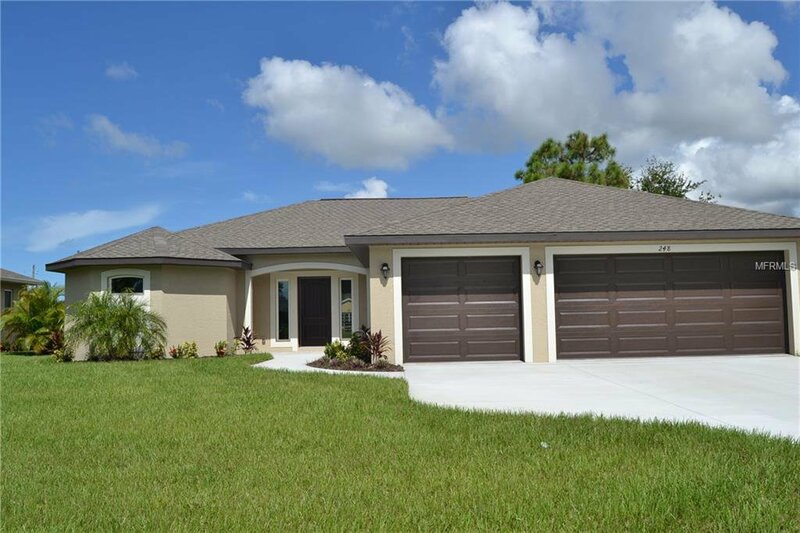 Brand NEW 3 bedroom, 2 bath pool home offers quality throughout with granite counters, 18" ceramic tile throughout, 3 car garage, high impact hurricane windows, sliding door and so much more. The master has his and her sinks and a walk thru roman shower. CO has been received but Taxes on are lot only. Builder Stone Haven Builders Inc. #0043873. Listing courtesy of TALL PINES REALTY. Selling Office: RE/MAX ALLIANCE GROUP.